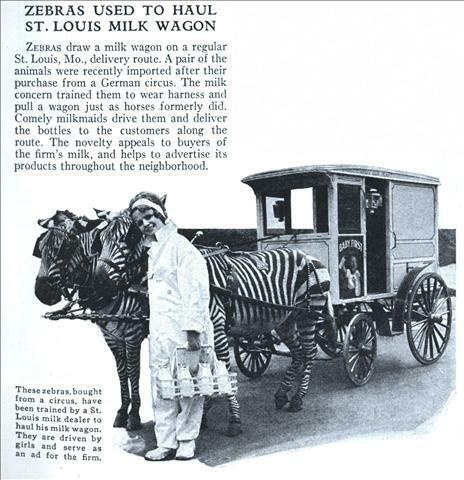 Zebras draw a milk wagon on a regular St. Louis, Mo., delivery route. A pair of the animals were recently imported after their purchase from a German circus. The milk concern trained them to wear harness and pull a wagon just as horses formerly did. Comely milkmaids drive them and deliver the bottles to the customers along the route. 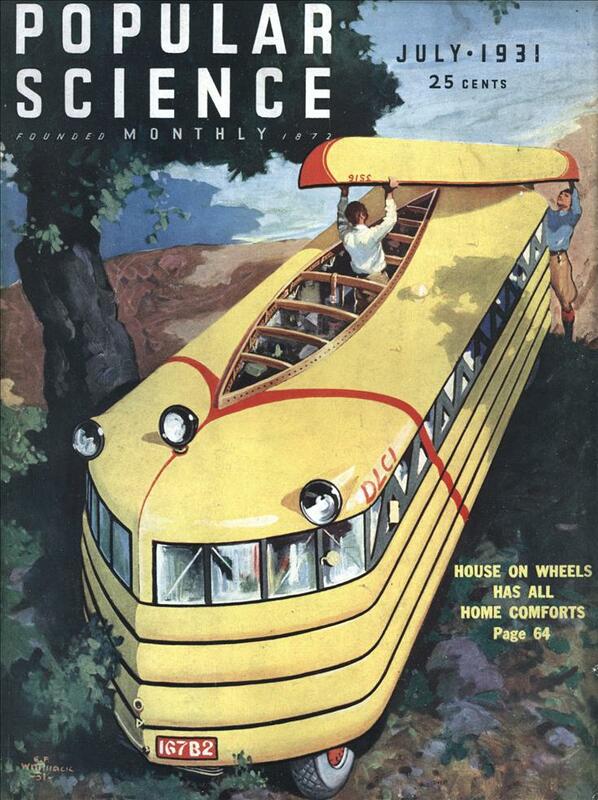 The novelty appeals to buyers of the firm’s milk, and helps to advertise its products throughout the neighborhood. Perhaps it was meant as a cost savings over sending out white horses with regular milk and dark horses with chocolate milk every day. Ani: It’s not so bad, I’m sure that the women were glad to have the job. I’ve heard before that it’s nearly impossible to train zebras for riding or harness. Could these be crossbreeds?